The KING® F9 SPEEDBACK™ ONE Length™ hybrid is engineered to simplify your game by reducing variables in your swing to increase accuracy and consistency. 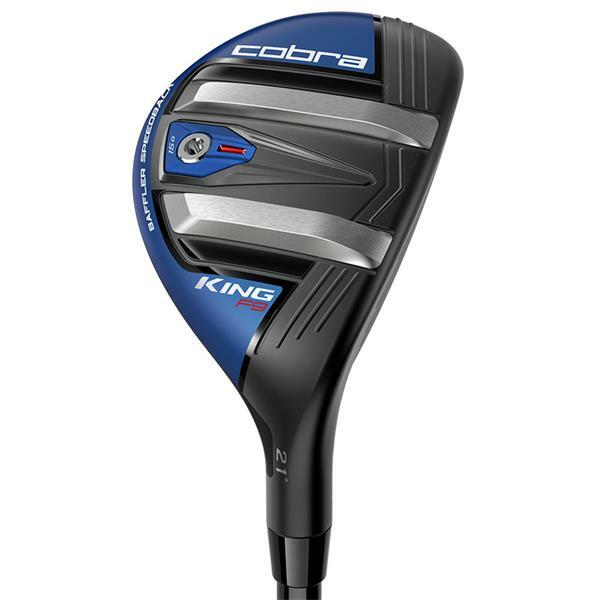 Cobra's ONE Length hybrid is back and better than ever. A larger shape is paired with optimized Baffler Rails and SPEEDBACK Technology delivering the perfect blend of distance, speed and accuracy. Ideal for Tour to 25 handicaps with moderate to faster swing speeds seeking a more consistent, accurate, and easy launching hybrid. 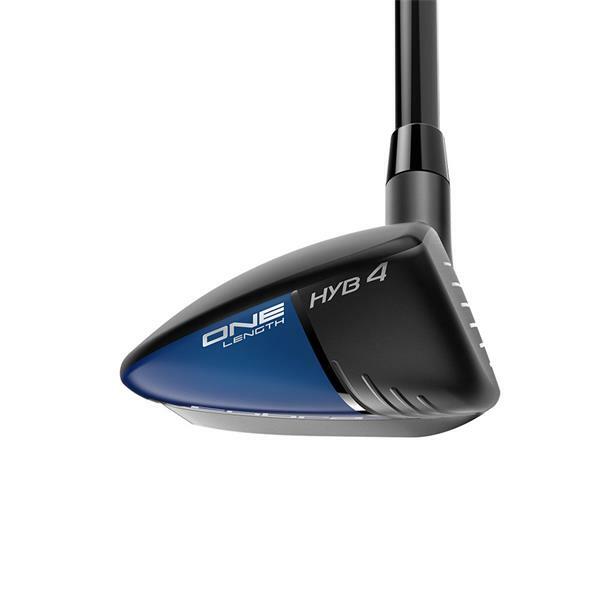 The higher MOI design of the ONE Length hybrids makes them the perfect substitute for the ONE Length long irons (4, 5, 6 iron), which may be more challenging for golfers with moderate to slower swing speeds to get up on the air. A ONE Length configuration matches 7-iron length, headweight and lie angle and is designed to bring more consistency and accuracy to your game. The KING F9 SPEEDBACK ONE Length hybrids provide the perfect alternative to ONE Length long irons in a combo set if you are looking for maximum forgiveness and easy launch. Baffler and SPEEDBACK Technologies work in unison to optimize low CG and clubhead speed through the turf. Up to 30 grams of additional weight comprised of steel and tungsten is concentrated low and deep in the clubhead resulting in a lower center of gravity that creates higher launch with reduced spin. A 15 gram tungsten weight is positioned in the back to promote high, towering trajectories and a steeper descent angle for improved stopping power into greens. Redesigned to save discretionary weight needed to lower the club's center of gravity, while maintaining the same great turf interaction our Baffler rails have always provided. A TRUE COMBINATION OF FORGIVENESS & ACCURACY. Innovative shaping improvements harmonize with Baffler and SPEEDBACK Technologies to achieve the ultimate combination of forgiveness and playability. Lowering the toe relative to the ground increases MOI and lowers and centers the CG behind the hitting zone for improved energy transfer to the ball. A lower toe also helps to square the leading edge at address, allowing golfers to align the club similar to an iron for increased accuracy and precision. A two-piece construction features a thin, forged 455 high-strength stainless steel face insert and a 17-4 stainless steel body. 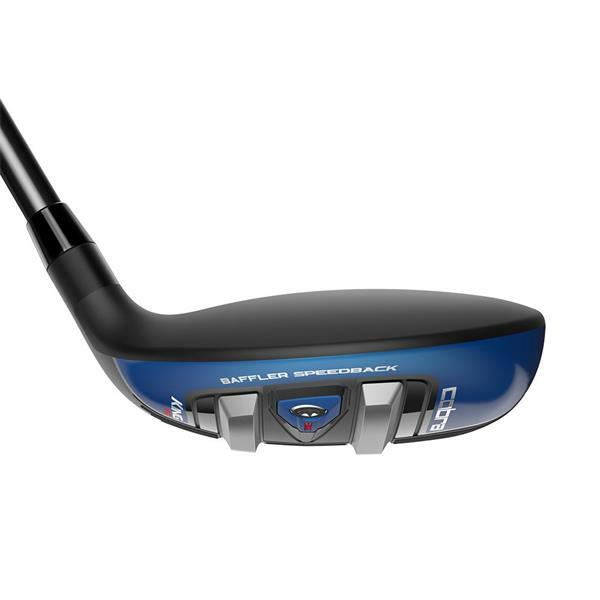 A thinner forged face increases flex and responsiveness for improved distance and ball speed on off-center hits.